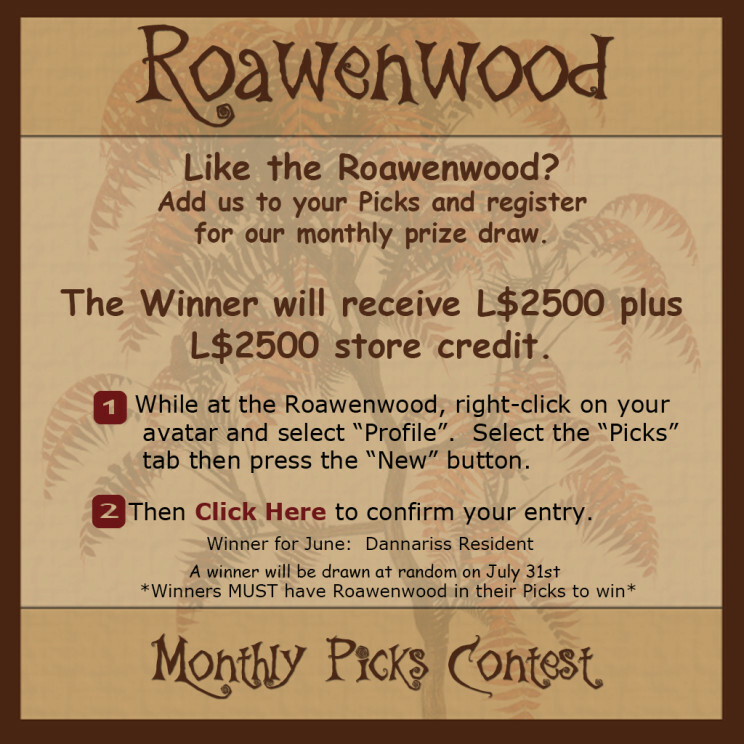 Picks Contest Winner for July! See I didn’t’ forget. The picks contest was wrapped up and a winner chosen at random. July’s winner is ……………… kyxxie foxdale!! Kyxxie won 2500L and then a 2500L Gift Card she could use for herself or for a friend. Thank you so much, the list has been wiped clear and we’re starting over again!